I’ve been using this a few weeks and really like the simplicity. 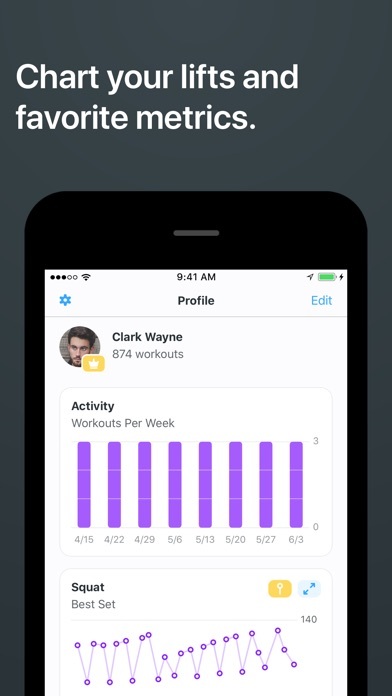 My only complaint - and I may just not be using it correctly - is that it does not give me hardly and calories burned in my activity app on my iPhone. I used a similar app and was getting much different results. It is integrated to work with apple health. Help? 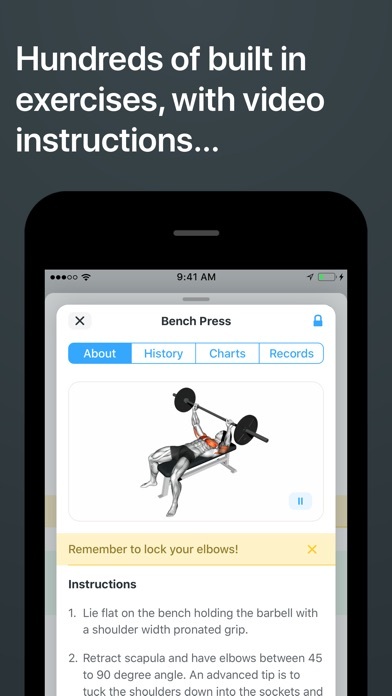 I’ve used this app for 3+ years now and don’t know how I used to lift without it. It has the functionality I need without excess fluff or steps. (I hate having to navigate 16 different menus just to annotate a drop set in other apps...) I’m very happy I’m not carrying around busted up old notebooks too! 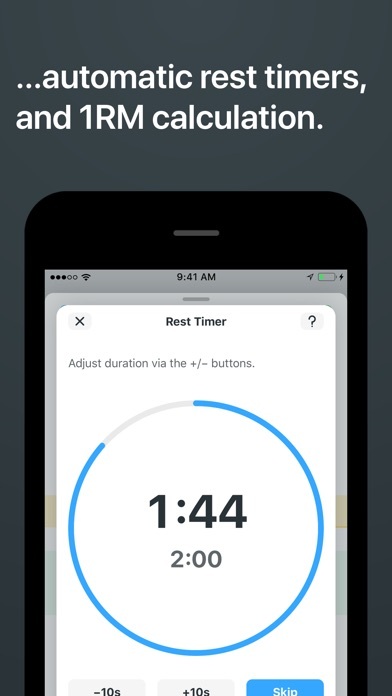 Great interface: Automated rest timer lets me nail my rest periods and see at a glance when I need to set up for my next set. I can easily see where I’m headed next, and start eyeballing that open bench. Super easy to drag exercises out of order in case somebody grabs up my machine before I can. 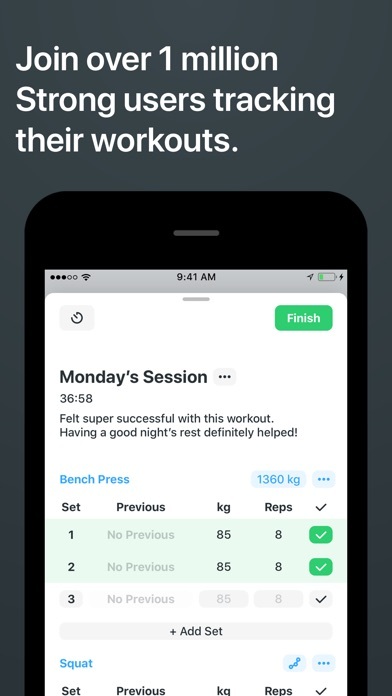 Building my workouts is very easy and intuitive and provides the flexibility I need to enter custom exercises if they aren’t in the library, add notes/hints, and tweak things. Nice roll-ups: It’s easy to review progress on various lifts and track long-term trends and spot lagging body parts, for focus/remedial work. Gaps: It’d be nice to have an integrated tool for mesocycle planning, but that’s easy enough to do manually, and a tempo timer would be nice, but again, not critical. Overall: Very pleased with the app- definitely worth the “pro” purchase. Glad to see the developer keeps this alive and always look forward to the new features with each release. Best Workout App in the App Store! I’ve been using Strong for a handful of months now and I love the app. Nearing the 80 workout mark with the app I feel my time is worthy of a review. The app is amazing and one of my favorite features is the built in timer. It ensures I’m getting proper rest time between sets for maximum growth. 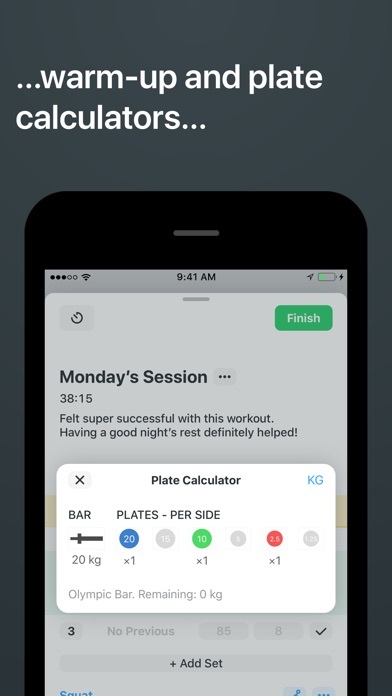 I’ve added probably 20+ workouts and it makes it super easy to keep track of your workouts. Another cool feature is it totals up the lbs you lift over a workout, for example I hit legs this morning and my total weight was 31,000lbs. Something different but cool. For all the features the $70 or so dollars for a lifetime is a great deal.